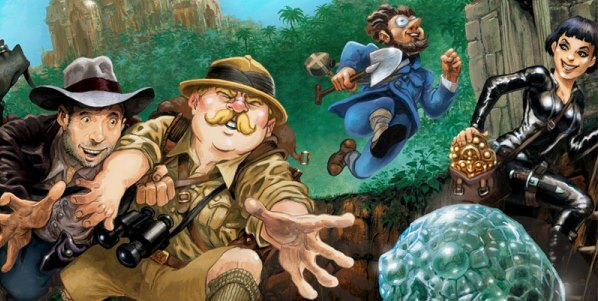 Board games where the heart and soul of the UK Game Expo. No matter which direction you looked in there where groups of people huddled around boards, rolling dice, shuffling cards and re-arranging meeples of all shapes and sizes. There was also a fair balance of game styles going on all around from euro designed cube shufflers to fully pimped out dice heavy Ameritrash. 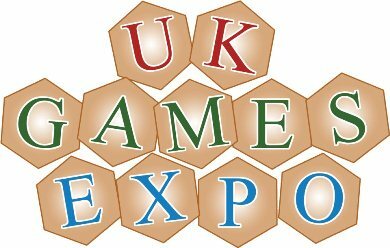 Here we outline some of the best British made board and card games on display at the UK Games Expo 2013. Things are running a little behind schedule here at Polyhedron Collider HQ but a little delay in bringing you the latest News Collider has meant we've had a chance to bring you news of a brand spanking new Days of Wonder game, finally some real life news about a 40k MMO and yet another Descent Expansion. I’m going to be honest here right from the start, I AM MT is a bizarre game and I don’t think I’ve got my head around it yet. 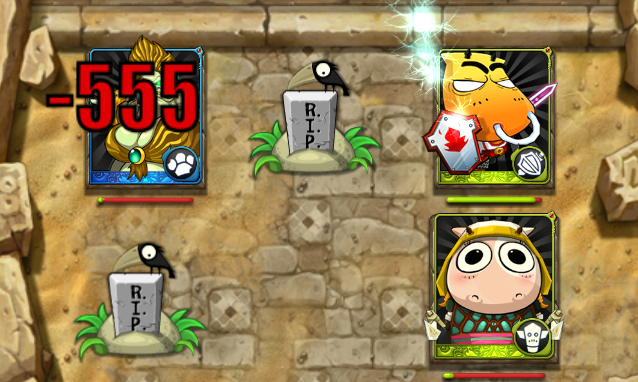 If you’ve ever fancied mixing collectible card games, dungeon crawler s and mystical sword wielding cows then I AM MT may be right up your street but I’m not sure it’s up mine, I’m not even sure it’s got the right post code. 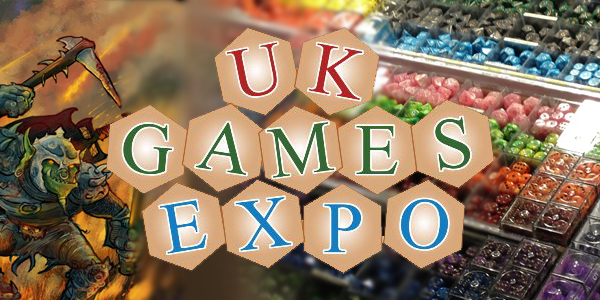 It’s true to say that the UK Games Expo is a very board game led event. The majority of publisher, game designers and traders were concentrated on board games but that’s not to say the miniature war games weren’t also well represented. Several big names in the UK miniature games market where present and a handful of retailers where selling products, mostly second hand and bits box affairs, as well as our local miniature handling solution; KR Multicases. Not only where the latest moulded resins available but you were never far away from the smell of burnt MDF as there where a surprising number of companies selling laser cut buildings, the standout company for me at the expo was Warmill. Of course, laser cutting suggests sci-fi but there where also many fantasy dungeons and caverns on display which were mainly intended for roleplaying games but where very handsome set ups. 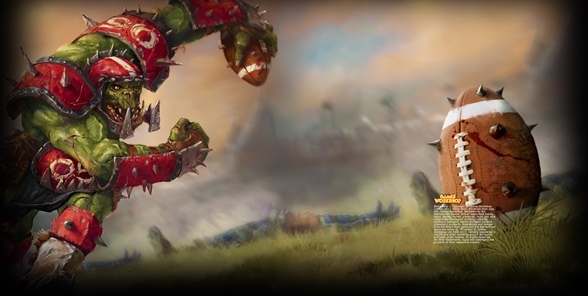 Several tournaments where taking place and Saturday afternoon was dominated by the Warmachine and Hordes tournament. Half of the wargames room was taken up by Privateer Press’s steampunk wargame showing that Warmachine has a huge following in this country. This weeks news titbit comes with a surprising new addition to the X-Wing Roster, a slimy new addition to the Neuroshima Hex battlefield and the least surprising addition to Smash Up you could think of, it doesn't mean we're not excited. Over in our tiny island nation we may not have the grand convention scene that our American cousins enjoy. We don’t have the headline grabbing GenCon, the controversial Origins or the wargame focused Adepticon. 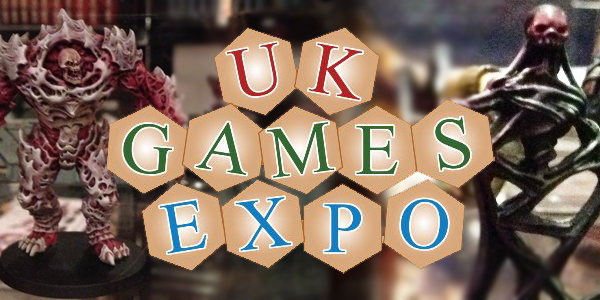 What we do have is the UK Games Expo which was held last week and it was a blast.